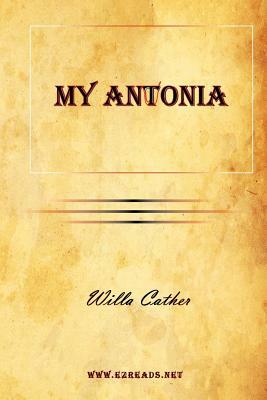 My Antonia tells the stories of several immigrant families who move out to rural Nebraska to start new lives in America, with a particular focus on a Bohemian family, the Shimerdas, whose eldest daughter is named Antonia. The book's narrator, Jim Burden, arrives in the fictional town of Black Hawk, Nebraska, on the same train as the Shimerdas, as he goes to live with his grandparents after his parents have died. Jim develops strong feelings for Antonia, something between a crush and a filial bond, and the reader views Antonia's life, including its attendant struggles and triumphs, through that lens.